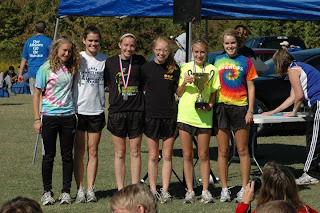 Region 8 AAAAA isn't the hardest cross country region in Georgia, but it is definitely one of the hardest and fastest. This past Saturday was Regionals for my daughter's Ashlee and Payton. 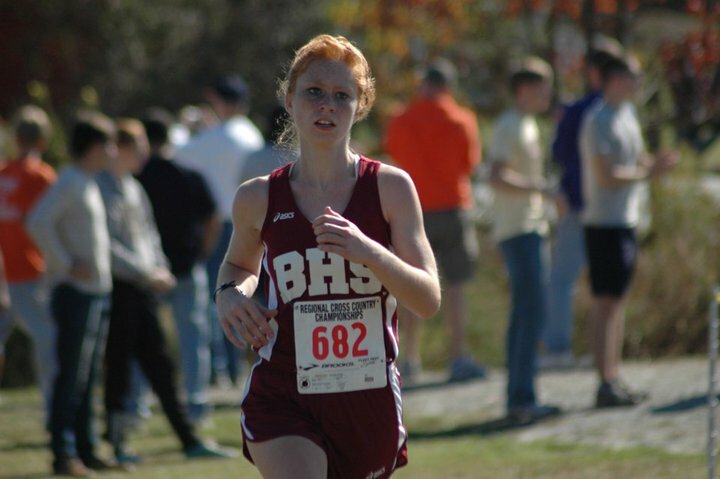 Brookwood is in Region 8 AAAAA and they weren't running till around 10:30, which was one of the latest races they ran all year. 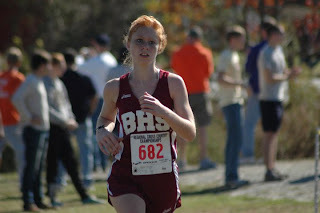 The Brookwood girls swept both the JV and Varsity races and both Ashlee and Payton played a key part in those wins. Both of them had a great day and ran great despite the late start of the race and the seemingly slow times that everyone was crossing with. In cross country the top 5 for each team are the scorers for the team and both of them crossed 5th overall in their respective races. Ashlee ran in the JV race and ran a 21:38. This wasn't her best time and she was a little bit upset that she didn't set a PR, but she finished 5th for her team and 5th overall. 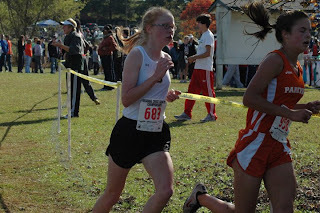 This was a great race and she held strong the entire race and was key in helping her team score a perfect 15 - bringing 1,2,3,4,5 (and even 6) across the finish line before any of their opponents. They continued to sprinkle in quite a few more runners within the opposing teams as they continued to bring the rest of this massive team across the line. Payton ran in the Varsity race and ran a 19:53 officially, but I had her at 19:48 so I think they started the clocks a bit early. Usually you expect to be a second off, but 5 seconds is a pretty big difference and being a runner myself I am kinda obsessed with hitting the watch with the gun. This wasn't Payton's best time but it wasn't supposed to be either. She was supposed to go out conservatively and the only goal was to win as a team. Their coach is saving them for State when it really matters. Tomorrow is the big State race and Payton and her team are already over in Carrollton, GA. They have run the course this afternoon and I am assuming they are getting ready to get something for dinner shortly. We will be heading over in the morning to watch her run in her second state meet. Good Luck Payton! Good Luck Brookwood! I can only imagine how proud you are of your girls. A big congrats to both of them! I hope to experience the same thing when my girls get to high school. My oldest (6th grade) is just starting & seems to have talent. Hopefully more than I did! Looking forward to reading the state meet report! Good luck to both! good luck tomorrow at state! 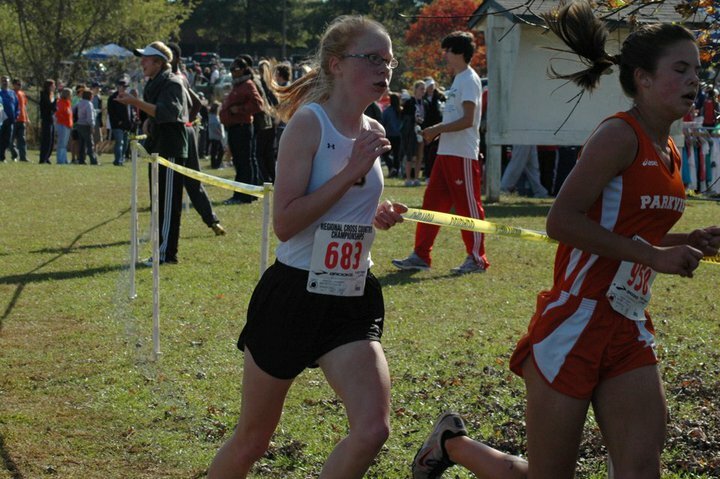 it's SC's state meet too - i am so excited, i love going! ahh gotta love the "tuck-the-shirt-in-rule". they had that when i ran (um 10 yrs ago! ), still not sure why they do it. a lot of teams have jerseys that just aren't long enough to stay tucked in and/or the fact that not everyone gets their perfect size. and that post-award-ceremony pic is great, i wish my legs looked like that!